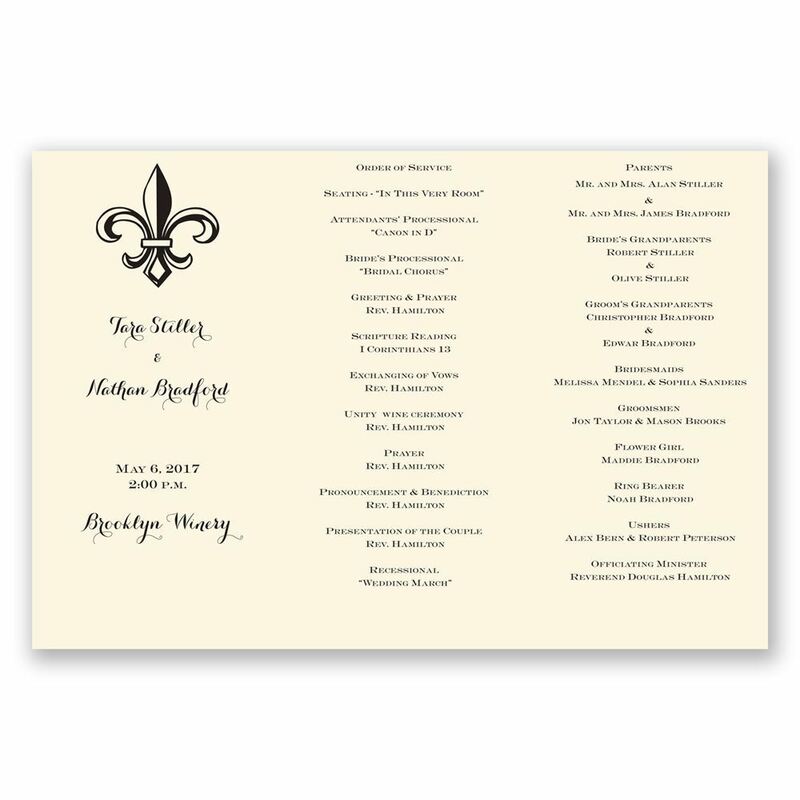 Simple and elegant, tri-fold programs of ecru paper offer plenty of room for your ceremony and bridal party information. The front is printed with your choice of design at the bottom. In addition to shipping please allow 5-7 business days for production. Fácil personalizaçáo, ótimo material, um lindo brilho sutil nas fontes. Recomendo. We are using this for our marrage ceremony program. It came out really nice, better than we expected. Loved the customer service...I filled everything out online and called customer service the lady was VERY HELPFUL...when she looked at it she immediately said she needed to change a few things because the font was way tooooo small. She took out some things and the font immediately was larger and I thank her for doing that. Love the programs, paper quality is thick, font is beautiful. I would recommend to everyone that needs programs to purchase these and also a little advice,take a minute to call customer service to look at it before you place your order. They also proof read to make sure spelling is correct.I received them in a few days and as I said LOVE them. We used these as our wedding programs. We received many compliments on how beautiful they were! We loved the orange colored font on the Ecru paper! It was beautiful, and exactly as we wanted it.